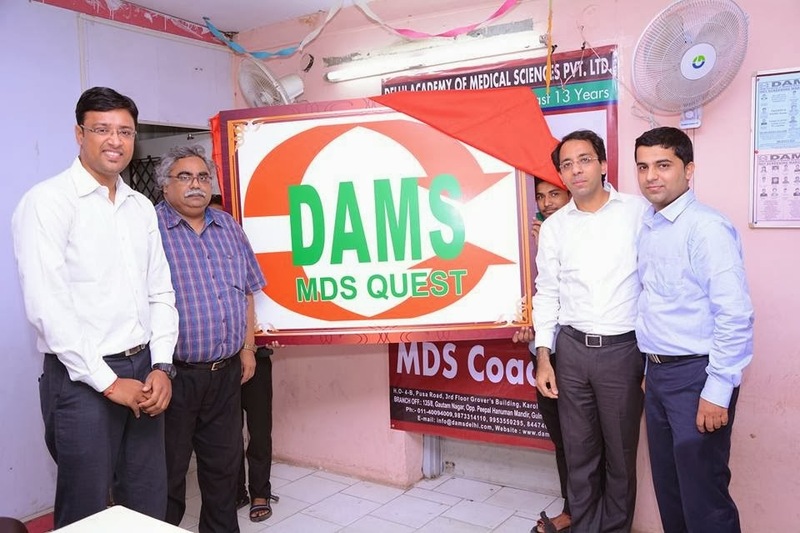 Finally DAMS bring to the world of BDS graduates much needed course for MDS entrance, called as DAMS MDS QUEST, regular classes launching in Delhi in Jan 2014, wait for announcements in other centres. We will bring the best of both medical & Dental worlds to you. DAMS Has been mentoring Doctors for PGME exam for last 14 years now makes the earnest promise to make a difference in Dental education.